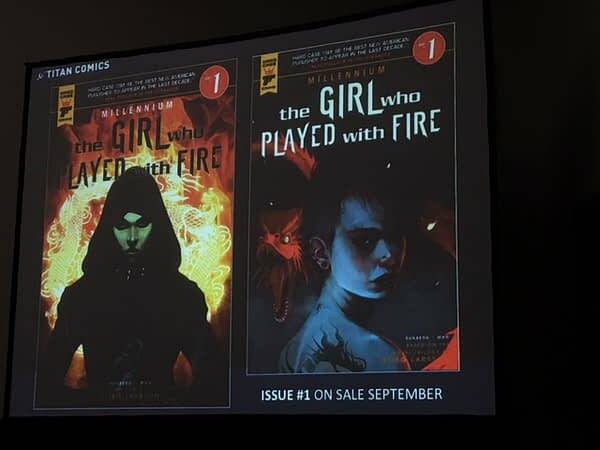 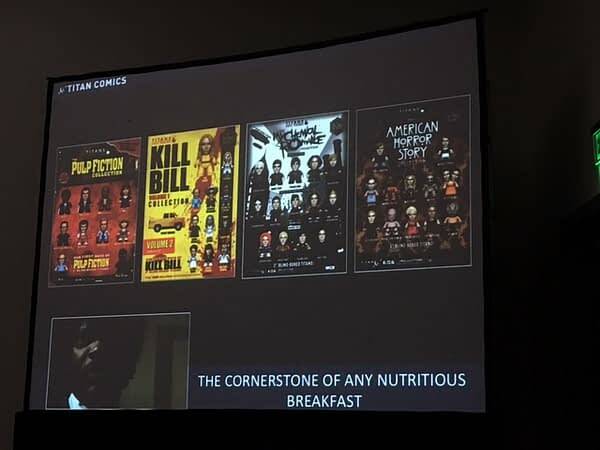 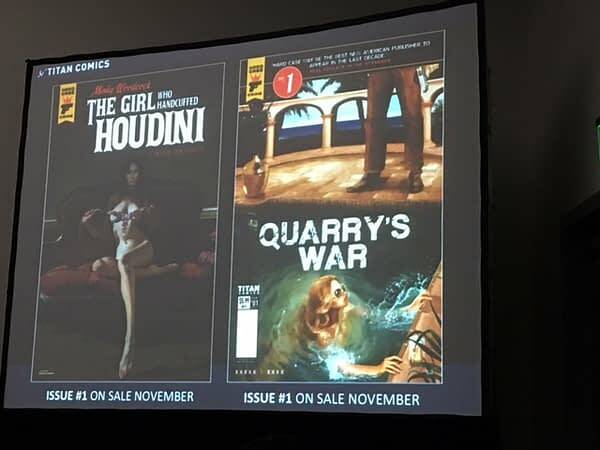 Titan Comics has made their presentation to comic book retailers at the Diamond Comic Distributor Retailer Lunch. 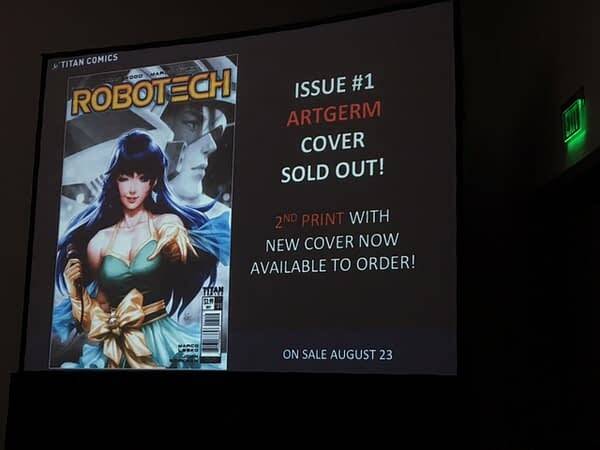 They began with an apology: their big launch for 2017, Robotech #1 has, it seems, been accidentally sent early by Diamond to some retailers, so they will have it in store this coming Wednesday, rather than the official August 2nd date. 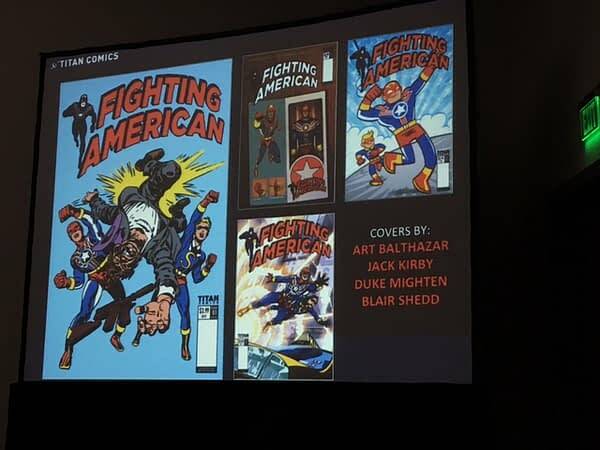 Those retailers will have to keep it unsold for a week. 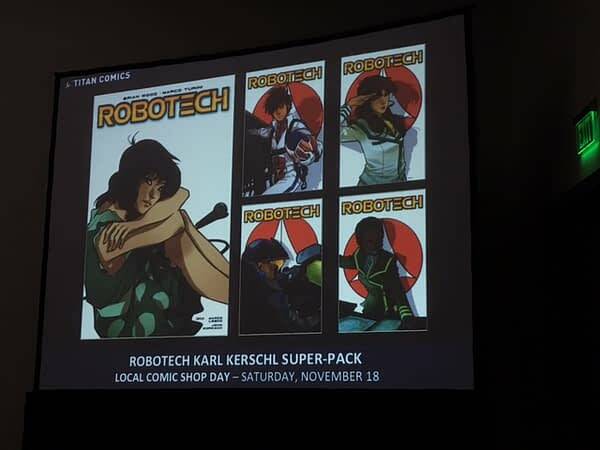 Reports are that the Local Comic Shop Day Robotech Set will look great. 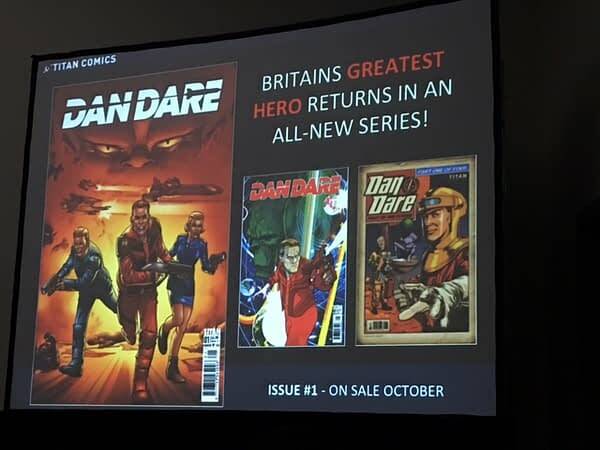 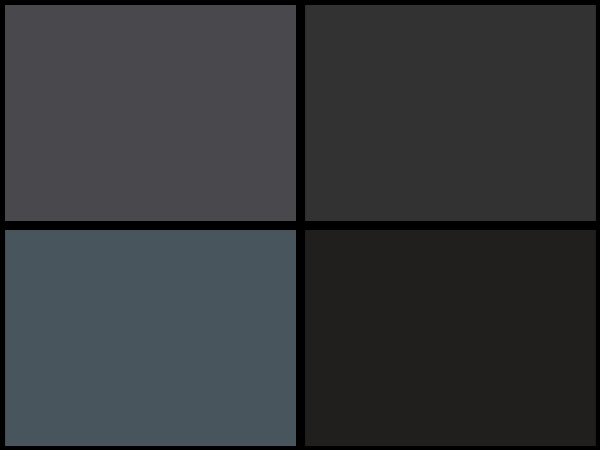 They will have Foil covers for Doctor Who Day comics. 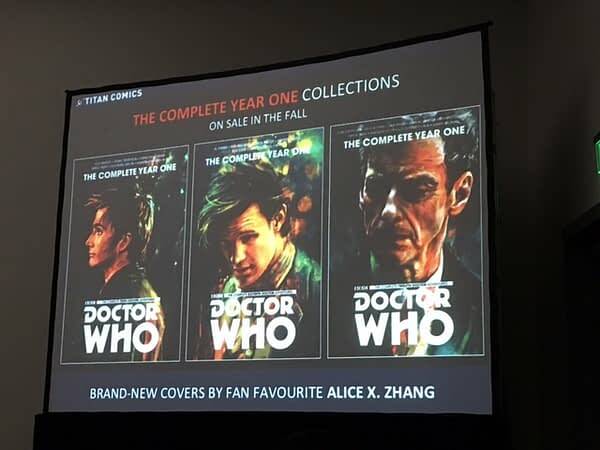 Including foil TARDIS covers…but why not take a look at all their lovely stuff?